Bacas National Transmission LLC understands how important it is to find a quality transmission service and repair facility. This is why we value the associations we have with the reputable organizations listed below. These associations help our transmission service & repair facility to give you the confidence in knowing that your automotive repair and service needs will be met by our qualified automotive repair and service expert technicians. Finding a good auto repair facility is always a concern, especially when the unexpected happens. One important thing to remember is to look for ASE Certification. ASE-certified automotive technicians and other service professionals can be identified in several ways. The most obvious is to look for the ASE sign on the facility. Once inside, most establishments proudly display the ASE certificates earned by their technicians in their office or waiting room. Finally, the technicians may be wearing an ASE patch on the shoulder of their uniform. All ASE-certified professionals are proud of their achievement and are more than willing to show you their credentials. ASE has years of experience helping the automotive industry verify the skills and knowledge of the technicians working at dealerships, independent repair shops, collision shops, franchises, fleets, and more. Car owners and the service and repair industry regard ASE certification as the standard measure of competency and a guide to quality auto repairs. ASE has taken this responsibility one step further by offering a recognition opportunity for highly qualified repair facilities, which allows them to showcase their technicians and their commitment to excellence. It is called the Blue Seal of Excellence Recognition Program. The program’s emphasis is to identify establishments with a large percentage of ASE-certified professionals. It is a recognition program for businesses striving to be the best, and willing to prove their commitment. 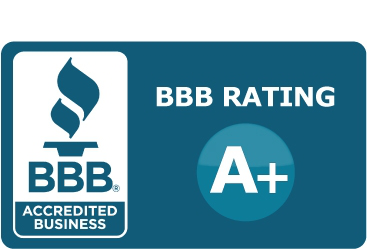 BBBs gather and report information on business reliability, alert the public to frauds against consumers and businesses, provide information on ethical business practices, and act as mutually trusted intermediaries between consumers and businesses to resolve disputes. News media frequently turn to the CBBB and local BBBs as expert sources of news about scams and consumer issues.